So in January we reduced negative self talk. In February we learned to sit less. 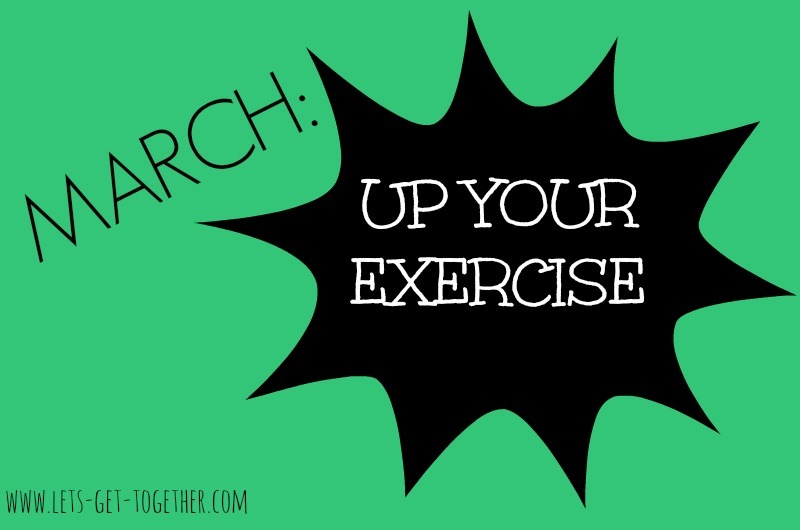 Now it’s time to up your exercise! 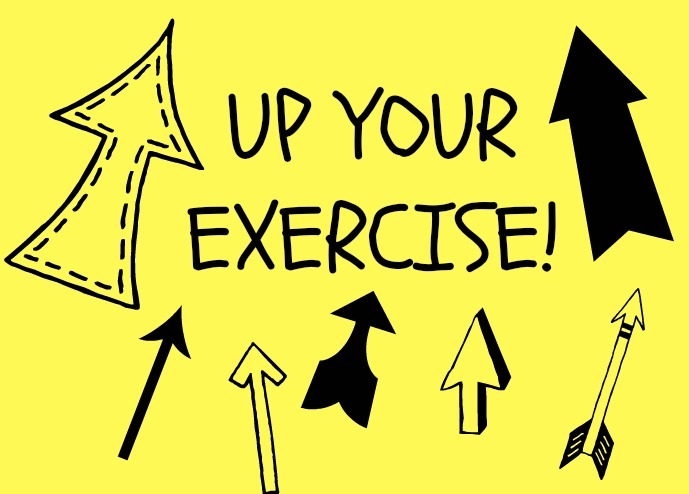 Here’s the thing – I know “up your exercise” might sound a little weird. Like, why not just say increase your exercise or exercise more? Well because I’m not necessarily telling you to exercise more or to increase the time you spend at the gym. I just want you to UP what you do. 1. Let’s say you currently go walking several times a week. Awesome! 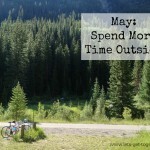 This month add some faster intervals in there. You can still go on your 30 minute walk, just walk fast for 1 minute every couple minutes. Your heart will get pumping! 2. Maybe you focus mostly on cardio and find yourself on the treadmill or elliptical most days. 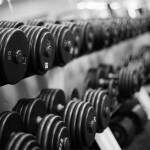 This month try to lift more weights (safely!) and spend more time focusing on increasing muscular strength. 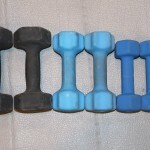 If you are just starting, body weight exercises are a great way to go! 3. So you’re the person that exercises 5 days a week and is confident in lifting weights. Maybe you should try doing some plyometrics for cardio work as well as stabilization work for your joints. Yes, you will be sore. 4. You are usually tight on time so you exercise for 30 minutes and then have to run off to do something else. But today you have some extra time – so instead of still finishing at 30 minutes, push another 5 minutes and then call it a day. 5. You’re at the gym most mornings when there is a kick boxing class going on. You do your own thing as you hear the music and people in the other room. Well this month instead of just listening, GO JOIN THEM! You’re at the gym anyway, right?! Just tell the instructor it is your first time and they will take great care of you! Those are just a few examples. The point is to push yourself a little while also trying new things. We want you to be sweating and getting stronger – that comes from doing hard things! Recently one way I have started to UP my exercise is adding 5 or 10 minutes of the stair climber or jumping rope to my workouts. It isn’t a lot of time but those are two great ways to get my heart pumping that I hadn’t tried before! 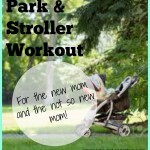 – Join a gym or local rec center. – Find a friend to workout with, whether it be walking or running together or going to an exercise class. 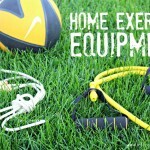 – Experiment with different kinds of exercise to find what you like (bike, yoga, aerobics, weight lifting, zumba, etc). It is important to mix up what you do, but it is also important to enjoy what you do. – Get some good shoes. Your feet need to be supported no matter what you do, so it is a good idea to invest in some that will help your feet stay strong. – Be patient with yourself. The people you see that might be stronger or faster or more coordinated than you started somewhere too. Just enjoy what you can do! The human body is a beautiful thing and is such a gift. It can do amazing things, but we must take care of it. One way to do so is exercise. Always, always be aware of your own physical capacity when exercising and listen to what your body needs. Be safe and have fun!